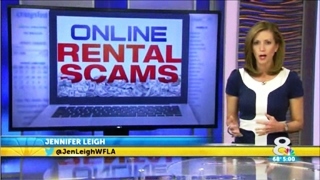 CLEARWATER BEACH -- If you think you’re booking your perfect vacation rental online, watch out. You might end up with no place to stay. Clearwater Beach is a vacationer’s dream. There are miles of powdery white sand, gentle surf and killer views of the Gulf. A check of Craig’s List might bring an ad for a condo on Island Estates. But if you check closely, you might discover the ad is from an old listing. The listing is from a sale that occurred years ago. The new version of the listing was posted by a scammer. “People have shown up twice at our door thinking that they’ve rented the place. And we tell them, unfortunately, they’ve just been defrauded,” said a condo owner. The owner asked News Channel 8 not to use his name. As spring break approaches, Clearwater police are seeing the condo scam grow. “From about January through June, I see anywhere from 15 to 30 cases a month of people sending their money to people that they met on Craig’s List,” Det. 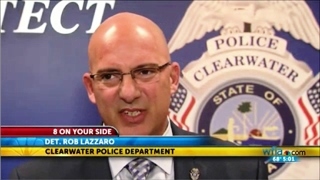 Rob Lazzaro said. The scammers use dating web sites to funnel cash to their overseas locations. The Island Estates condo owner posted a notice on his door, warning others. When a recent victim called him, he had to lay out the truth. ”He said, ‘Gee, I couldn’t believe that this house was for rent for so cheap,'” the owner recalled. Now, that condo owner scans Craig’s List every other day looking for his residence. He posted a listing of his own – as a warning. “And I figure that’s the only way to really stop it is to stop the money flow,” he said. Many places along the beach don’t even offer a weekly rate. They can’t. It’s against the law. A check with management before you send money could save you a whole lot of aggravation.